likely one of Astora's superiors. High-quality weapon with a powerful blessing. Treasure from a corpse in the Valley of Drakes (alongside Dragon Crest Shield1) between the Undead Dragon's right arm and head. Entering the area between the dragon's arm and head will cause the dragon to awaken and become hostile. It is possible to retrieve the sword without disturbing the dragon. This sword is very effective early in the game. 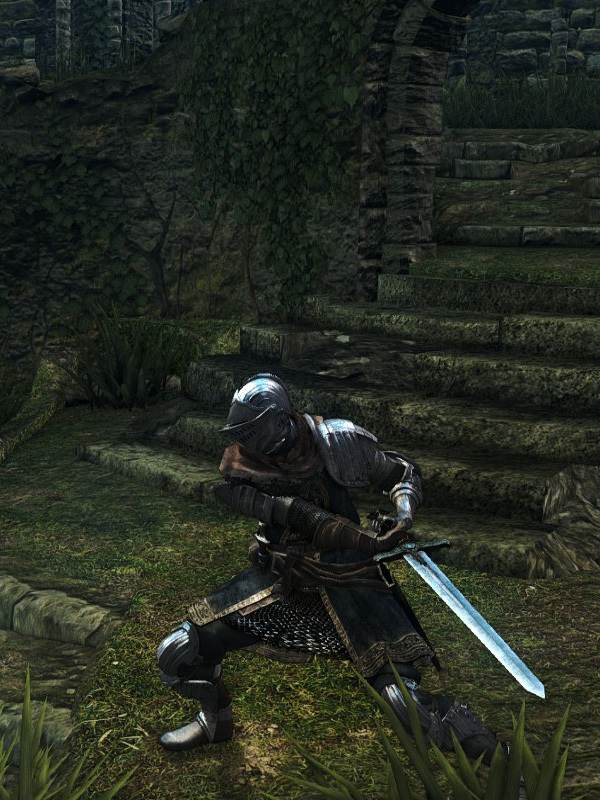 However, once the player is able to upgrade another weapon to +10 Normal or +5 Divine, the Astora's Straight Sword becomes outclassed very quick as the damage output is mediocre and does not scale well—even with high stats for STR, DEX and FTH. After 3 upgrades, this sword is better than the Drake Sword because it scales with stats, is lighter and offers the useful thrust attack. It can be upgraded early to +3: the necessary upgrade materials (4x Twinkling Titanites) can be acquired by trading three kinds of mosses with Snuggly the Crow. The only downside is the 14 points of FTH requirement. R1 — R1 alternating vertical Swipe Stunlock. Great for breaking Guard. 51% STR, 51% DEX, 51% FAI scaling.